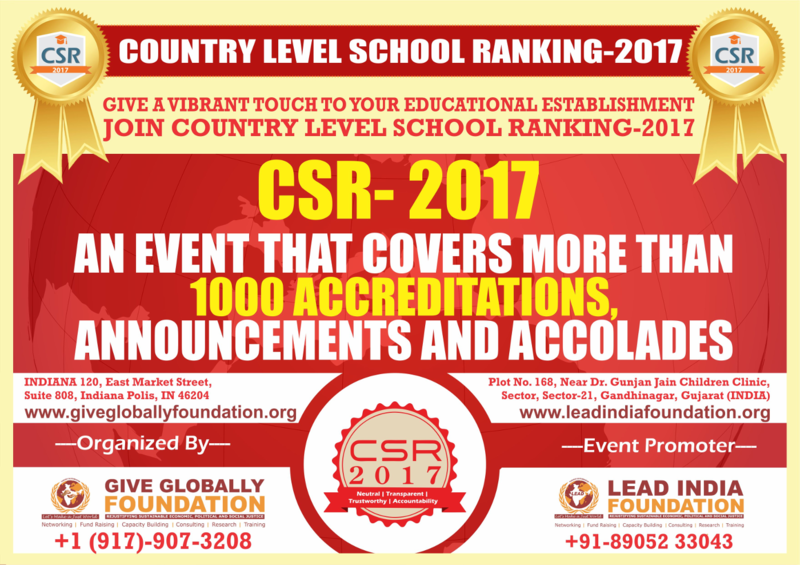 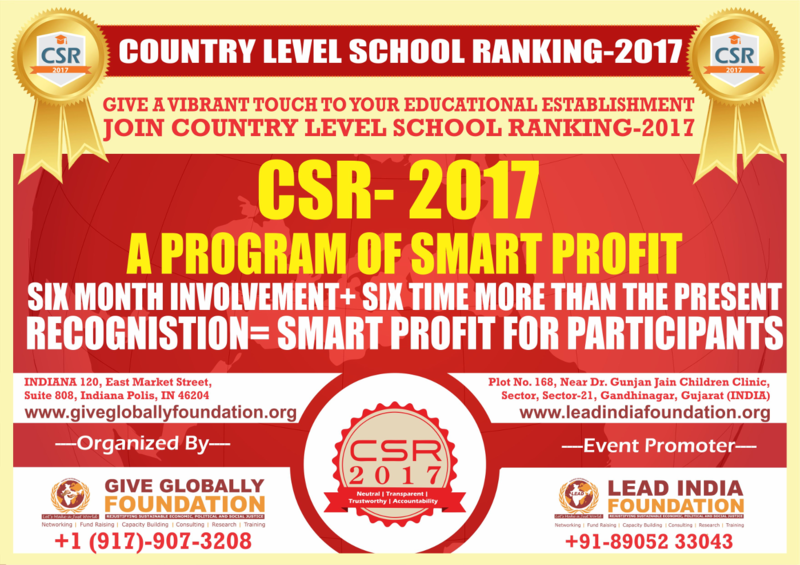 The Country-level School Ranking (CSR) has been initiated by Give globally Foundation, USA and launched in collaboration with Lead India Foundation on 29th September 2015 in India and USA. 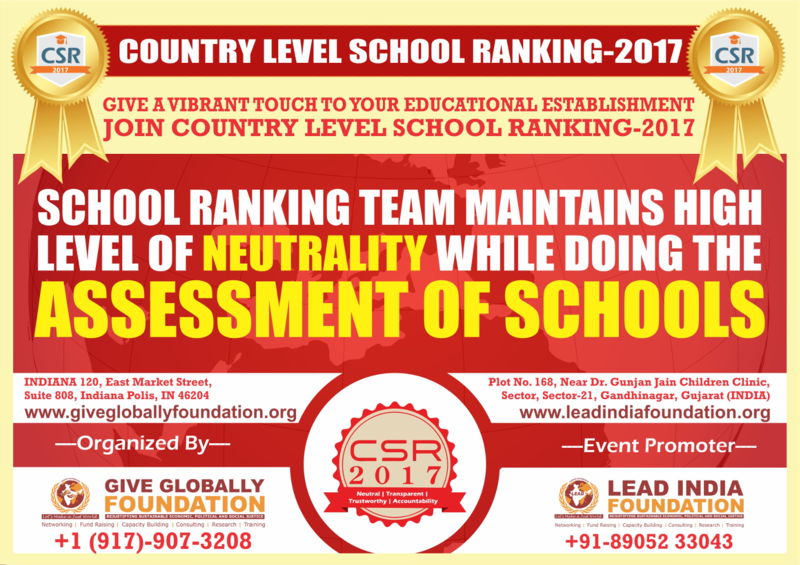 This framework outlines a methodology to rank institutions across the country. 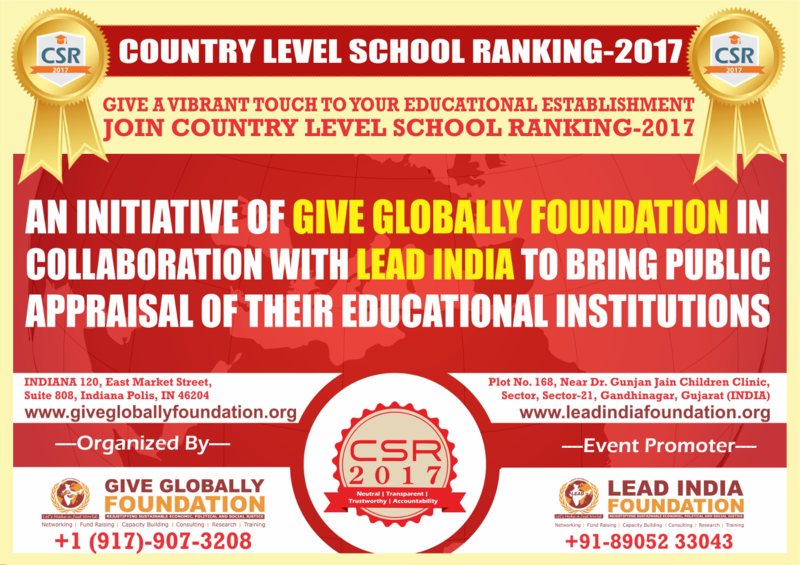 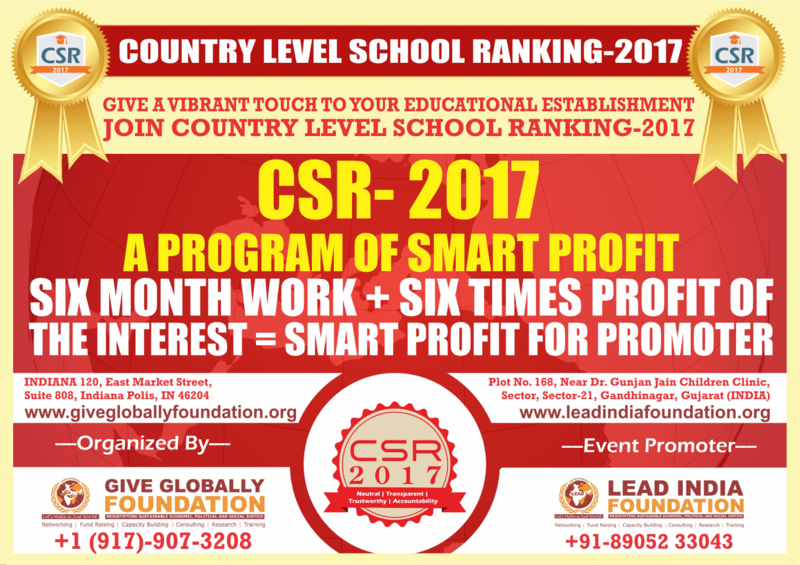 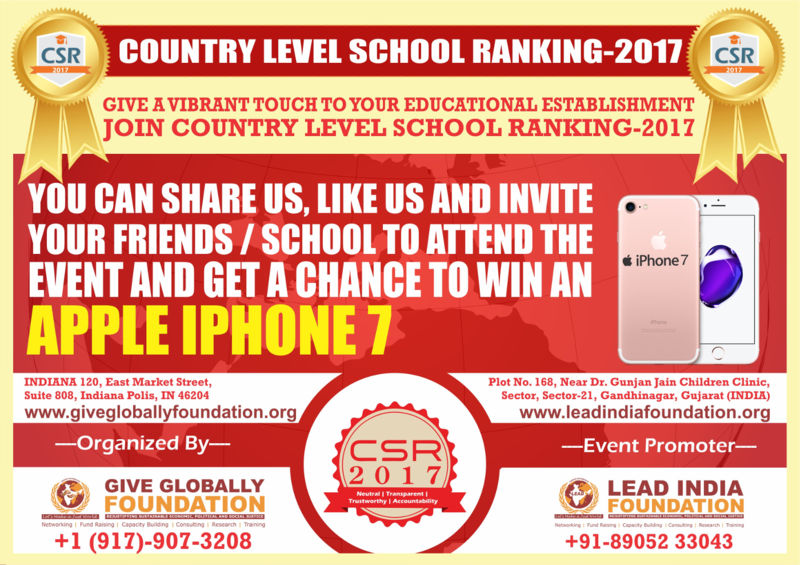 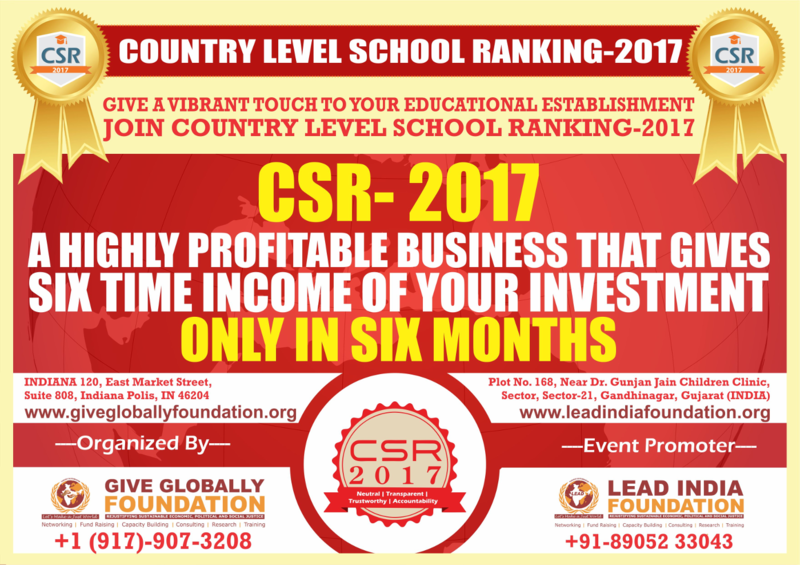 The Country Level School Ranking (CSR) is initiated by the Give Globally Foundation, a nonprofit registered in the Indiana States of United States and launched by Lead India Foundation on 29th September 2015. 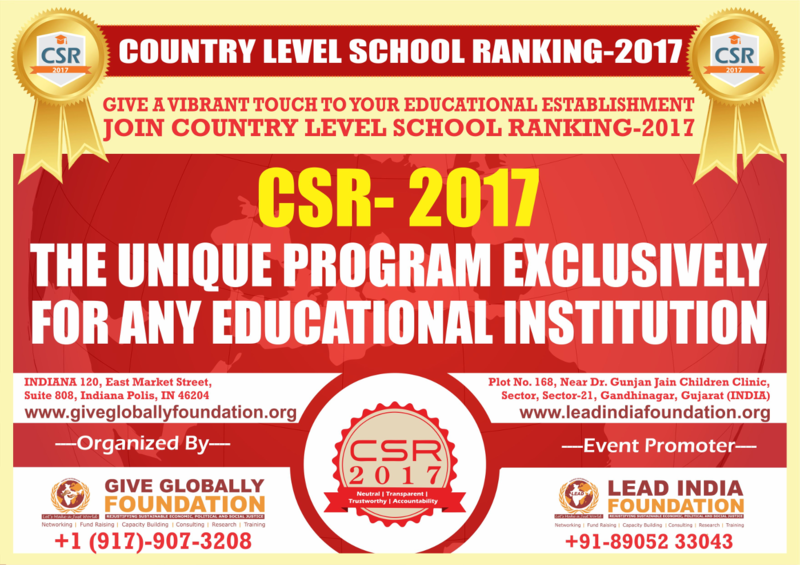 This framework outlines a methodology to rank institutions across the country. 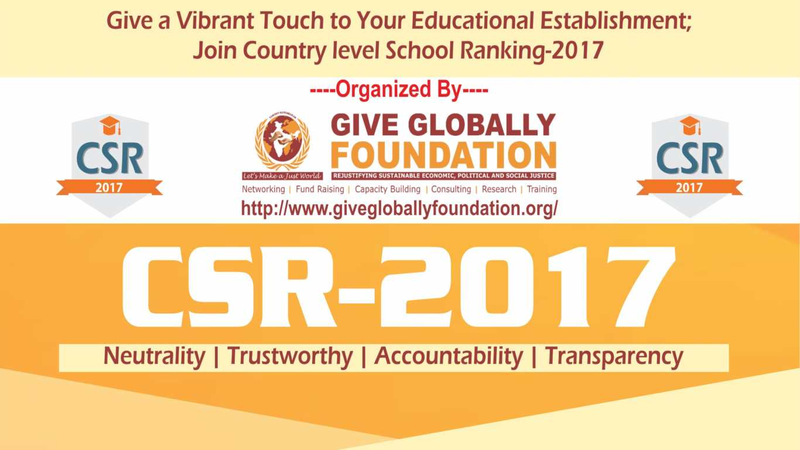 The methodology draws from the overall recommendations broad understanding arrived at by a Core Committee set up by GGF, to identify the broad parameters for ranking various universities and institutions. 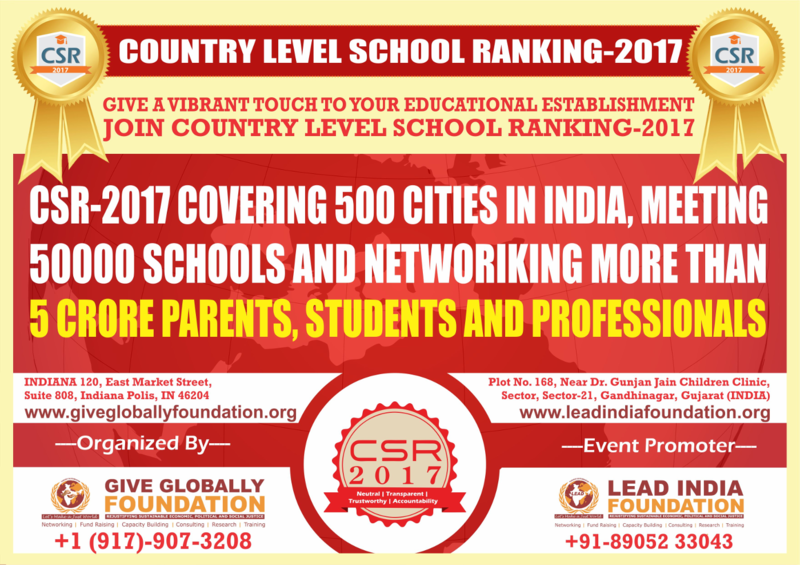 The parameters broadly cover “Teaching, Learning and Resources,” “School overall experience by the students,” “Return of Investment made by the parents,” “Future orientation to the students’ Outreach and Inclusivity,” and “Brand value of the school”. 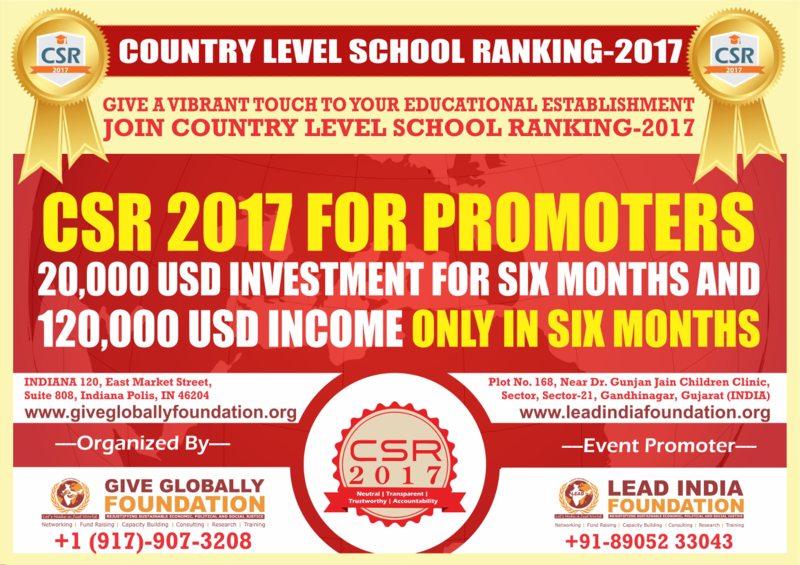 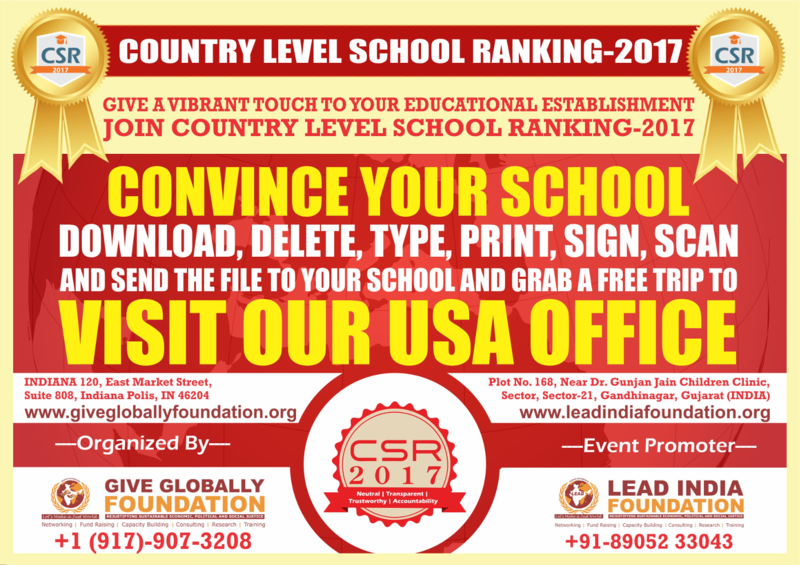 Country Level School Rankings – 2017 based on this framework were lunched on 4th April 2016 in USA.